One look at Zeppelin’s hard body physique, deep dark eyes, and striking brindle coat, you may think he’s all electric guitars and band groupies. After spending time with him, you’d realize that he’s just as goofy as can be, with a tolerant nature that has earned him many doggie friends. 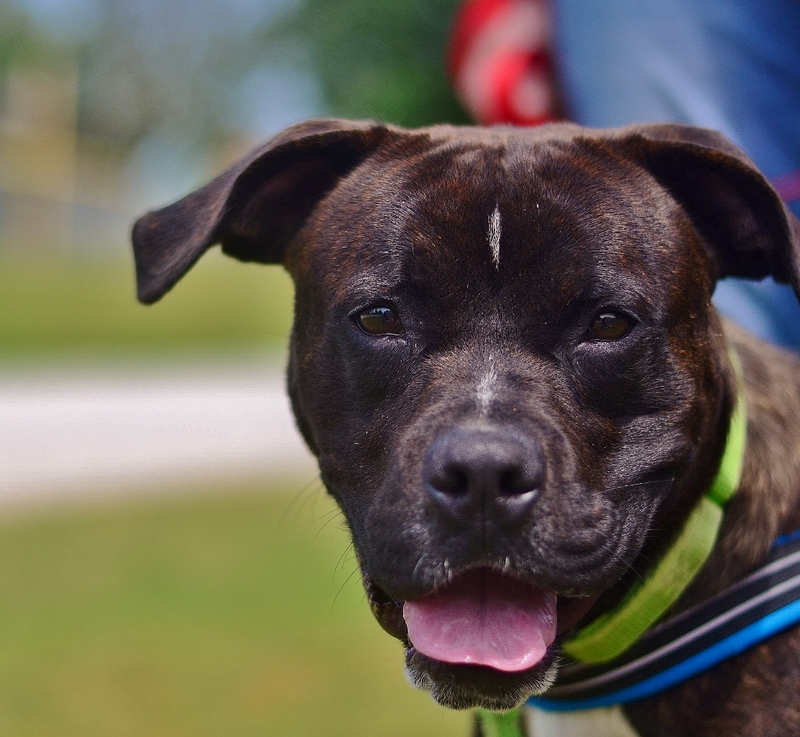 He’s is a handsome Boxer mix who has tons of the friendly, bouncy personality that has drawn people to this breed for eons. Although he will make an excellent family dog, his acrobatic stunts may be too much for small children, so he is best-suited for a home with older kids and others who would enjoy teaching him how to maintain cool rock star manners. Zeppelin is very intelligent two-year-old pup who absolutely adores toys, so learning manners and tricks will be a fun affair for his lucky new family. If you’re looking to add light-hearted fun to your home, look no further than Zeppelin and come play with him today! 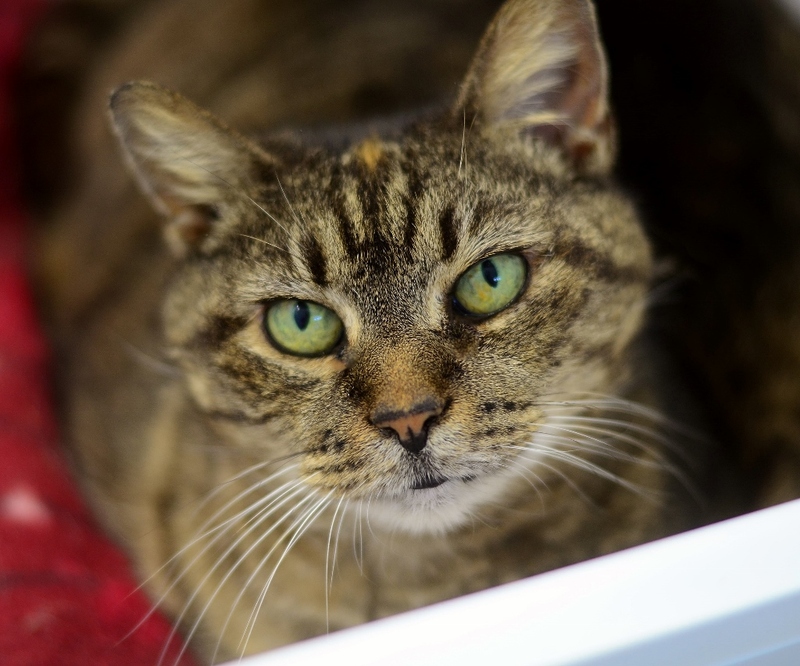 Sweet Emma is ready to enhance your home with all the skills of a house cat extraordinaire. Have you been longing for a friend to sit and binge watch Netflix with you? Does your lap get chilly when you’re catching up on all the news online? Would the stress of the work week just melt away, if only there were a softly purring best pal greeting you at the door? Emma has the perfect solution! She just happens to be a warm and cuddly feline who can fit right onto any couch, chair, or keyboard. Her brown tabby coat is short and plush, perfect for petting after a long day at work. Emma is one-size-fits-everybody and has yet to meet a stranger. She is around 7 years old (although a lady never reveals her true age) and has lived happily with many other pets. Needless to mention for such a hospitable housecat, Emma has top notch litter box manners and keeps her spaces clean and tidy. Come have a visit with Emma and you’ll find that missing friend that will fit perfect in your home.